Don’t let a mold problem in your Issaquah home go unnoticed when you can easily get mold removed or prevent it from growing in the first place. Nearly any location can face mold issues. Whether your home is still being built or you’ve lived there for years, mold growth can strike at any time. At Mold Solutions NW, we pride ourselves on appreciating the specific needs of Issaquah and the Pacific Northwest. We are eager to work with you to prevent or remove mold. We live and work in the northwest, too, and ensure the products we use don’t pose any threat to the health of the environment here. One technique we employ with this goal in mind is Microbe Guard, which resurfaces areas where mold is trying to grow. The added layer keeps surfaces free of mold and fights attacks from new microbes. This is one piece of our comprehensive services. A cornerstone of our approach to mold remediation is thorough prevention that blocks the regrowth of harmful mold. This may be particularly important for those who are protecting a home while it is still under construction. Our experts keep affordability and harm to the environment in mind while working in Issaquah. They will permanently end your mold problems with services that come with an exceptional warranty for your peace of mind. Get peace of mind that your mold problem will permanently vanish with our team of experts. The core of our approach involves three key areas: remediation, prevention and inspection. We believe this approach offers the surest method of mitigating mold problems. We don’t want to just get rid of mold, but offer the security of knowing it can’t return. We will find every nook and cranny where mold might try to spread. By rooting out these locations, it is possible to take preventative measures against future growth. But prevention can also be part of a remediation process. During a remediation, inspectors may recommend prevention methods. It isn’t just home owners who need to eliminate mold. Businesses, schools and even medical facilities also need to make sure they don’t have harmful mold sneaking in that can make people sick and damage structural integrity. Many people may not even realize they have mold, however. It can hide in unlikely and rarely used locations, going undetected for months or years. When it goes undetected, mold gets a chance to spread throughout a building, potentially causing illnesses and damage. Once you know or suspect you have a mold problem, though, remediation can clean up the issue. Our process can detect even the sneakiest mold before it becomes a threat. We won’t stop short of complete mold elimination. Our comprehensive approach ensures we achieve this. Mold remediation begins with an inspection to check every nook and cranny where mold might be hiding. An inspector will look for things like existing mold, cracks in the foundation, leaks and excess moisture. Inspection is a major piece of our overall strategy and you can read more about it below. 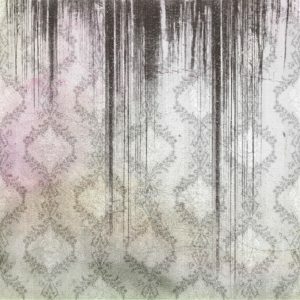 If mold is discovered somewhere, we will need to use techniques to prevent it from branching out to other areas. We use tools like plastic sheeting and air scrubbers to discover further mold growth. Our remediation process also keeps in mind possible contamination of other areas of the structure. Spores that are undetectable to the human eye have to be carefully contained so the mold cannot take root elsewhere in the building and start regrowing. Next, it is time to get rid of the mold. Once we begin to treat the mold, Mold Solutions NW will use various products to eliminate the mold. One product we use is MMR, a commercial grade tool that gets deep beneath the outer layer to destroy mold. Additionally, we address the stains sometimes caused by a mold growth. Mold can stain things like wood as it grows, leaving behind permanent cosmetic damage even after it is gone. At Mold Solutions NW we understand that getting rid of such stains is also important to our customers; MMR can get underneath surfaces to help with this aspect as well. In the mold remediation process, certain items will have to be discarded if they cannot be cleaned. We will remove materials like carpeting, cabinetry, drywall and insulation during the process. Discarding damaged surfaces is part of our cleaning process and overall strategy for mold remediation in the structure. A special HEPA vacuum ensures that even tiny particles get collected to minimize the chances of the mold moving elsewhere. This is a second stage of containment. This process keeps mold and spores from getting out into the air and traveling to a different surface to grow again. We don’t want to just get rid of the mold you see now, but also make sure you don’t find any new growth. Our 10-year warranty promises that the EPA-registered anti-microbial we use will keep mold from growing back after it is removed. You will have no reason to worry about chemical irritants, either, as the anti-microbial we use is non-toxic, water-based and has no VOC emissions. Our prevention methods are described more fully below. At Mold Solutions NW, we don’t just want to get rid of mold – we don’t want it to ever grow back. After removing and preventing the mold, we take a last look for any possible oversight. Surfaces with contamination and mold are removed and destroyed and the work area is cleaned up. Then we back up our work with a 10-year warranty (as included in the bid). The initial and final inspections of a building suffering from a mold problem are important for first identifying all issues in the structure and then making sure the remediation and prevention were completely thorough. Our confidence in this process stems from our inspectors’ expertise. They validate that the remediation was entirely successful and that the mold has not moved to a new location. As mentioned above, it isn’t enough just to remove mold. Prevention is a crucial concern if you want to protect a structure long-term. A tenant of our approach is future mold prevention. We know Issaquah and the greater Pacific Northwest area has its share of mold, so many seek out prevention options to protect them in the future. Any home, office or other structure built here has to be aware of the effects of the damp climate we live in. It’s no surprise then that prevention is a big worry in this region. People often desire mold prevention services while a new building is under construction. The climate is an obvious factor during construction while the structure cannot be perfectly protected from the weather. Rain, air moisture and wet ground are all threats the Pacific Northwest is well-known for. 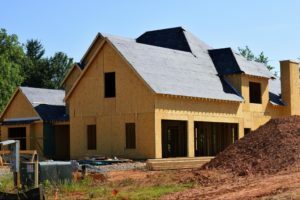 But during the building of a new structure is also a great time to explore mold prevention plans that can offer peace of mind even after the building is done with. When mold is able to gain a foothold in the construction phase, it is sometimes harder to kill later on. If this goes on too long people might get sick from mold they don’t even know is present. Family pets are also susceptible to getting sick from mold if it is in the house. Additionally, mold that grows in the floor, foundation or walls can compromise the integrity of those surfaces. If you want to protect your family and home, stop mold before it can start. And prevention should not be limited just to homes; hospitals, schools and offices should also try to prevent growth. Any new structure can get infested with mold before it’s even complete. At Mold Solutions NW, we conduct mold prevention using Microbe Guard. This permanent treatment works by creating a new surface over a product such as wood or other surfaces. Plus, attacking microbes will not be able to grow on this surface. A surface covered in Microbe Guard repels spores in the air that try to dig in and grow in a different location. Mold prevention is a key component of our overall strategy of mold solutions in Issaquah. As one piece of our overall approach, it may occur before, after or even during the remediation. The specific details of the mold problem in any given building determines the best time for prevention measures. Prevention also applies to structures that have already had issues with mold growth. While it is common to focus on mold prevention during the construction of a building, it’s never too late to think about prevention. Mold prevention can even apply to a home that has not had any issues for years. Sometimes prevention gets overlooked during the rush to get rid of a problem that already exists, but we believe preventative measures can offer lasting security. That’s why we make it a constant part of our planning. We want to make sure no home, office or other building has a mold problem even if it has already required a remediation to root out an existing issue. It’s not always easy to find mold. Therefore, our inspectors look high and low at all the places where mold might try to grow. The inspectors at Mold Solutions NW know how to find any and all mold that may be in a building. We want to root it out wherever it lives so it cannot harm people or property. 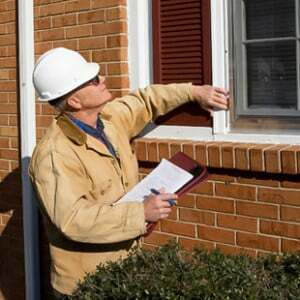 The inspections we conduct are therefore very detailed. We understand the Pacific Northwest and Issaquah; we know the climate here can promote mold growth due to the wet weather. Many people are anxious to remove mold after they spot it because it is a health hazard. But health issues are just the tip of the iceberg when it comes to motivations for eliminating mold. Mold can also harm pets, as well as make the basic structure of the building weaker. Without even realizing they have a mold problem, home owners might be living in increasing dangerous circumstances. As it grows, mold can wear away surfaces inside a building like its floors and walls, or even the foundation. Obviously, this is a dangerous situation that calls for swift remediation. The structural soundness of a building may wear away as mold spreads and takes hold. Mold Solutions NW offers expert inspectors who know exactly what to look for and won’t miss a trace of mold. That’s why we look at inspection as critical to the overall approach of mold remediation and prevention. Mold growth can be stopped. Remediation is more than a quick fix to clean out mold growth, it is also a means of prevention. 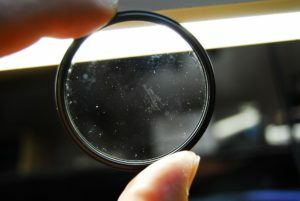 Mold Solutions NW understands the particular mold issues facing Issaquah and how to address them. That’s why we work on remediation, inspection and prevention together to stop mold now and in the future. Guided by this three-pronged approach, we believe our services can address any mold problems in Issaquah. We are selective in our approaches, using EPA-registered products that won’t harm the environment but are still affordable. We pride ourselves on our years of expertise and outstanding safety record.